And in Pakistan, a senior politician is accused of “blasphemy” for criticising certain religious schools as “centers of ignorance”. 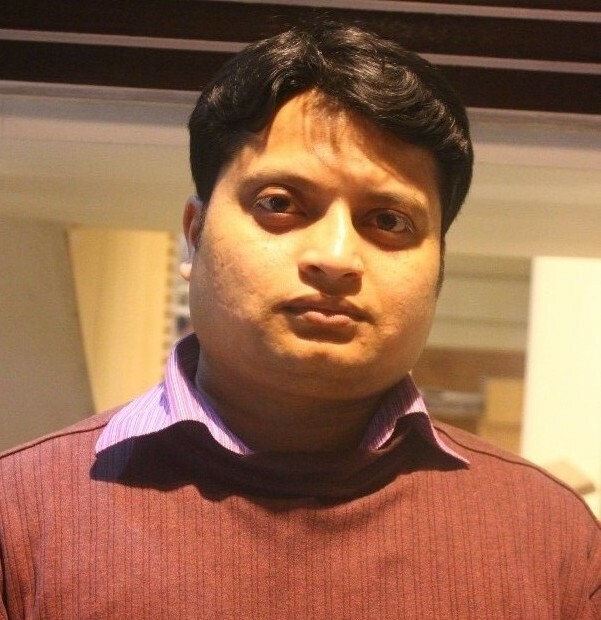 Another atheist blogger in Bangladesh, Ananta Bijoy Das, has been killed by machete attack. After science writer Avijit Roy, and blogger Washiqur Rahman, it makes the third such murder in almost identical circumstances this year, and at least the sixth assassination of humanist writers and intellectuals in recent years. The pattern in the murderous attacks on freethinkers in Bangladesh is unmistakable: Machete-wielding gangs, sometimes masked, waylay victims and butcher them in the middle of crowded streets, making sure the message of fear and impunity hits home. The murder of Ananta Bijoy Das this week, the third secularist blogger-writer to be killed since February, was no different. 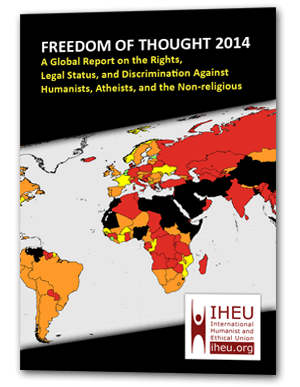 Ananta Bijoy Das had reached out to us at IHEU following the murders of Avijit and Washiqur. Accepting the very serious threat to this life, we advised Ananta in trying to make the difficult move out of danger. However, we have been informed that his application for a visa to travel to Sweden, under invitation from Swedish PEN, was rejected last week by the Swedish embassy in Dhaka, on the basis that he might seek to remain in Sweden. We call on all countries to recognise the legitimacy and sometimes the urgency and moral necessity of asylum claims made by humanists, atheists and secularists who are being persecuted for daring to express those views. The Bangladeshi authorities have once again failed to protect one of those most at risk, in spite of his well-known association with others who have been murdered in exactly the same way. Bangladesh must do more to protect Das’s fellow bloggers, and do everything it can to bring his attackers to justice. And countries in Europe must recognise the plight of the non-religious and the very real threat that individuals like Das face in their home countries. We call upon the global community to uphold the freedom of conscience and protect those who are targeted for death by fundamentalists just because of what they think. Bangladesh had a strong secular tradition which is now being eroded. I was always proud of the fact that Bangladesh hadn’t fallen to the scourge of Islamic fundamentalism, as Pakistan or Middle Eastern countries had. I always felt the reasons for this was a strong Bengali culture which is shared with all Bengalis of whatever religion and nation- the common music, language and literature. The Bengali identity provided a strong counter-point to a purely Muslim identity and for most it was an easy mixing. But now, as in any other parts of the world, some fanatical Muslims who cannot understand any other form of identity other than the religious one and who cannot understand or contemplate any dilution in faith are gaining power and courage. These murders were carried out in broad daylight in full view of the passing public. Unless the Bangladeshi Government and indeed Politicians all over the world wake up to the fact that the non-religious are just as worthy of protection as the religious I am afraid nothing will change and any dissenting opinions of Islam will be silenced. The destruction of ancient cities and artifacts by ISIS cannot simply be reduced to an issue of ‘blasphemy’ as such, though terms like ‘blasphemy’ and ‘idolatry’ are certainly used to justify their actions; there’s a broader kind of supremacist ideology at work, too, in which the obliteration of everything outside a narrowly-defined ancient Islamic cultural bracket is regarded as a religious duty. 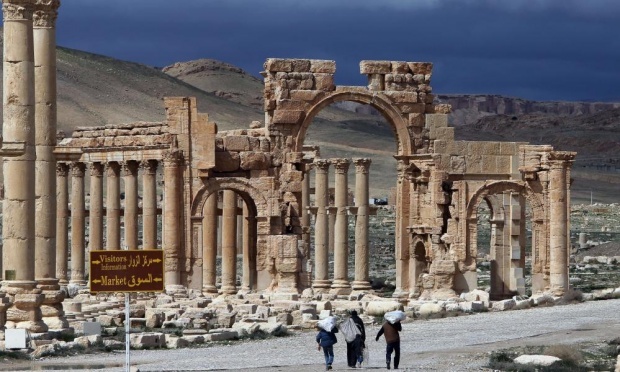 Whatever the underlying ideology and strategy, as of today there are new fears as ISIS fighters take ground close to the ancient city of Palymyra, that it’s outstanding ruins of global historical significiance will be reduced to dust and fragments. The ancient city stood on a caravan route at the crossroads of several civilisations and its first- and second-century temples and colonnaded streets mark a unique blend of Graeco-Roman and Persian influences. The jihadi advance on the well-preserved remains came as an international conference was under way in Cairo to address the destruction already wreaked by Isis on the ancient sites of Nimrud and Hatra in Iraq. During a faith-based excursion in February, Gad Younan, 42, allowed the boys to shoot a video on his mobile phone in their hotel room. In the clip, the boys appear to mock the terrorist organisation by kneeling on the ground to pray hysterically and by imitating a beheading. After filming the lighthearted video, Mr Younan misplaced his phone’s memory card and it was picked up by a Muslim neighbour in Al-Nasriyah village in Upper Egypt. Following the discovery of the video, a group of Muslims filed a complaint with police. Younan was then arrested and charged. … More than 2,000 Muslims then marched through Al-Nasriyah and neighbouring villages, attacking Coptic Christian homes and businesses. A reconciliation meeting in the village helped defuse some of the tensions, but a judge this week denied the boys leave to take their end of year exams. The teenagers and their teacher have been remanded in custody for a further fortnight pending a continued investigation. Beshoy Armia, previously Mohamed Hegazy, is currently being held in the high-security Tora Prison on blasphemy charges, despite his case having yet to reach court. Lawyer Karam Ghobrial said that whilst in prison, his client has been severely physically beaten and subject to verbal abuse, some of which is directed at his faith and conversion to Christianity. Armia has been denied a Bible and has not had glasses since they were broken intentionally some time ago. … Ghobrial has now submitted a complaint to the Prosecutor General regarding the status and mistreatment of his client. A copy of the document, seen by Daily News Egypt, states that Armia has been held without legal basis, beyond the maximum six months allocated for detention in extreme cases. The document holds that pre-trial detention should be used when there is a fear that the accused will escape or commit further crimes. The detainee should be treated with dignity and not tortured, which violates the constitution. In addition to Armia’s release, the document also calls for the investigation of police officer Ahmed Fawzy at Tora Prison, who has been identified as responsible for the majority of abuse against Armia. 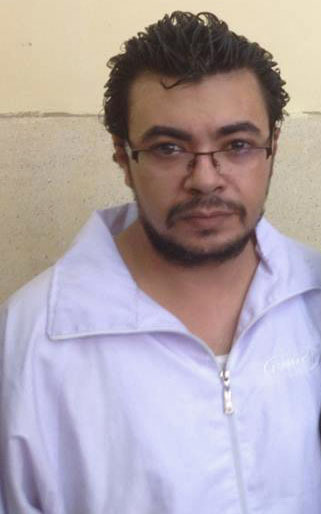 According to International Christian Concern, Mounir Beshay had posted a video clip from a satellite network about the “suckling of adults” hadith in November. Months later, outraged Muslim villagers demonstrated in front of Beshay’s home and set his motorcycle on fire. Beshay was arrested at his workplace and his case was assigned to the Economic Misdemeanors Court in Dakahlia, Egypt, where he sentenced to prison for one year. Despite the overthrow of the Muslim Brotherhood’s President Morsi and the subsequent leadership of the military’s President Sisi, the controversy over blasphemy charges in Egypt continues unabated. Leaders of Wafaq-ul-Madaris said that Pervez Rashid had questioned the very basis on which the country’s foundation had been laid, pleading that the Prime Minister should dismiss the minister from his position. Criticizing the appointment of Pervez Rashid, leaders of Wafaq-ul-Madaris commented that the post of Information Minister is a sensitive one and should not be left to the whims of a secular person. The leaders of the movement said that the incumbent PM should clarify his position on the statement of his minister else action will be taken. However, it should not be too difficult for Nawaz [Sharif, the Prime Minister,] to decide which strategy to adopt here. There can be no denying that a good number of these seminaries, at least, are cause for considerable concern. And time and again militant attackers have been traced back to a number of them. It should not be forgotten, also, that a number of al Qaeda runaways were nabbed from the homes of some of the more religious politicians who defend these madrassas so passionately. The government is also, no doubt, aware of its inability to form the much hyped national narrative, which was supposed to be the bedrock of the counter insurgency campaign. Considering Pakistan’s current situation, the government has only one option. It must back the information minister forcefully, and leverage the moment to finally construct the narrative. It must also begin investigating and auditing the madrassas. While Indonesia is often celebrated as one of the world’s few Muslim-majority democracies, non-religious people say the country’s tough anti-blasphemy laws force them to live a façade of faith, masquerading as Muslims when many spend hours a day mocking religion in private online forums. But millennial-aged atheists like Arimbi are growing bolder, trying to change national opinions on atheism by living as openly as possible while avoiding jail time. She said she wears the hijab on her college campus, Universitas Islam Negeri Sunan Kalijaga Yogyakarta, and when visiting her strict Muslim father, but only out of respect for her classmates and family. Arimbi said walking away from Islam in her late teens was the most liberating choice she’s ever made. However, the anti-blasphemy laws prevent Arimbi and other atheists from publicly expressing ideas that counter any of the state-approved religions.